Recently I attended Lifeway’s Women’s Forum, a women’s ministry leadership conference down in Nashville, TN. Besides having a blast exploring the city and almost escaping the Heist at the Escape Game, I learned a wealth of information during the 2 1/2 day conference. The concept of soul care kept coming to mind all semester, as it’s been a very busy Fall, possibly my busiest, and I held back on taking care of my soul. A few seminars I attended addressed this idea and it’s just too good not to pass on. So, if you are looking for some ways to find some rest at the soul level, may this help you in your journey. We each have an inner life and an outer life. Our outer life is visible, demands attention and seems to get most of our care. Our inner life is invisible and easy to neglect. It’s the place where our soul resides. We tend to spend more time getting ourselves presentable to the world instead of being still, quite possibly because the outside world is pretty demanding, while our inner world is much quieter. How would you define “soul”? What is it? One of the speakers I heard defined soul as the “operating system” of your life. It integrates your will, your mind and your body. When your soul is healthy, no external circumstances can change that. But when your soul is unhealthy, the same is true, no external circumstances can change it. Not a day watching Netflix, or a spa night, or an all nighter playing video games. Soul Care is not Self Care. How do you know if your soul isn’t well? A healthy soul is opposite of all those. It’s optimistic, energetic, creative, at rest, satisfied. “My mind may be obsessed with idols; my will may be enslaved to habits; my body may be consumed with appetites. But my soul will never find rest until it rests in God. For the soul to be well, it needs to be with God.” (John Ortberg, “Soul Keeping”). When you are sick, food doesn’t taste good. Right now I’m coming down with a cold and this morning coffee tasted awful! When someone is dying, very little food will taste appealing. In order to keep that person alive, they need to find food that will entice them to eat, otherwise they will die. The same applies when your soul is sick or dying. You need to find spiritual food that will entice you to eat. Maybe its not the meat and potatoes of a regular quiet time, (or maybe it is because you’ve been starving yourself and eating only junk food, i.e. Facbook, Netflix, video games). But maybe when your soul is dying it needs to be enticed to eat Spiritually. So, how do you gain a healthy soul? Take a chill pill. Find an M&M, put it on your tongue and let it dissolve (no cheating by rolling it around on your tongue). 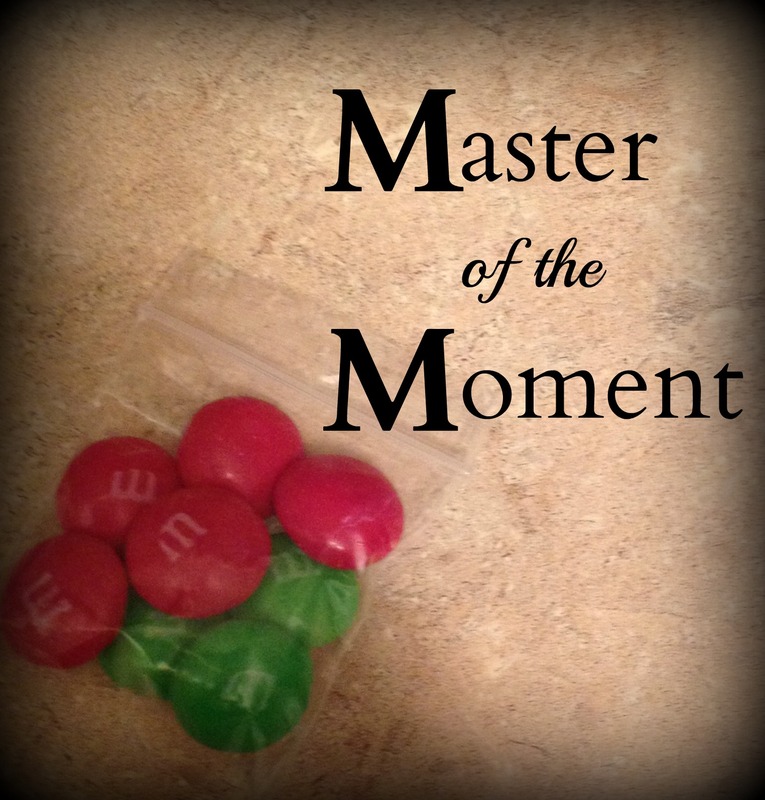 As the chill pill, er, I mean, M&M dissolves in your mouth, consider who is the Master of the Moment. Remember who God is, the Master of this Moment (M&M). Remember that God is Sovereign, He’s in control, He is loving, good, has a plan, is faithful, etc… Think upon Him and remember who He is. Remember who you are. If you are God’s child, you are loved, cared for, guided and provided for by God. I don’t even know how to emphasize how important this is. Check yourself and get rid of sin by renouncing (confessing) it and turning away from it. Ask God to bring to mind any sins of thought, word, or deed. Beth Moore shares in her “Seeking a Heart Like His” Bible study, that we must learn to allow God to halt sin in the place it begins — the thought life. We’re wise to aggressively confess the sins of our thoughts. The sins of our thought lives are so numerous that their familiarity tends to make them less noticeable. Our minds may fuel jealous thoughts, sudden lusts, quick criticism, and harsh judgments or anxious thoughts without ever regarding them as sin. Confessing wrong thoughts stops sin in the first stages, before it comes out of our mouths and then directs our actions. who speaks the truth from their heart. To hide anything increases the pressure on our lives. What God says is Sin is Sin. No matter how small I consider it. Step 3: Reassurance. Be reassured that the help you need comes from God. 2 Corinthians 4: 7 But we have this treasure in jars of clay to show that this all-surpassing power is from God and not from us. 8 We are hard pressed on every side, but not crushed; perplexed, but not in despair; 9 persecuted, but not abandoned; struck down, but not destroyed. Let’s look at some of the key words in this verse. Jars of Clay: we are easily broken, God knows that. We need Him. The outside pressures will weigh us down if our souls aren’t right with Him. Hard Pressed: what is pressing on you and weighing you down? What are your pressures? Perplexed: What is not understood? What are you so confused on? The good news? We are not abandoned. God walks with you. The good news? We are not destroyed. I am not destroyed because I have been crucified with Christ. I no longer stand on my feelings, or even my rights. I’ve been crucified. I live by faith in the son of God, not faith in people liking me, or faith in getting everything accomplished. Faith in the Son of God. Practice the Presence of God, in community and alone. In community through church, large group in your college ministry, small groups. 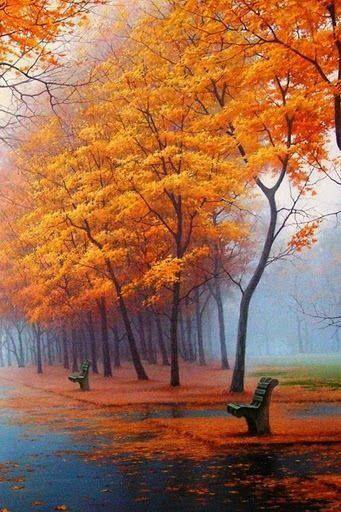 And alone during a time of silence and solitude (unplug from electronics), or perhaps a nature walk. This is a foreign concept to us, which is why we need to practice it! God will refresh you! Day by Day. Are you mismanaging the pace of your lives? Are you hurried or busy? Are you at risk of slamming into an emotional wall at a high speed? A healthy soul feeds on space and grace. Take care of your soul. Next PostPain – Part of the Christmas Spirit?